R01 Review 2019: Is R01 a Good Hosting? With offices in Moscow and St. Petersburg, R01.ru is a small hosting service that provides domain registration, shared hosting packages, and reseller plans to Russian, Ukrainian, and Kazakh customers. Russia-based R01.ru is an accredited domain registrar that also provides shared hosting plans and reseller hosting packages to customers in Eastern Europe. The company’s website is in Russian and English. R01 offers its customers ample storage space to host multiple websites. A person can host six sites under the Mini package, up to 12 sites under the Maxi plan, and 24+ sites under the Ultra plan. Customers who sign up for the Ultra hosting plan get free dedicated IP addresses and SSLs. All three plans also come with an automatic installer for WordPress and Joomla. FeeBSD OS, a unix-system, powers the company’s servers. Immune to virus attacks, this OS ensures a stable and reliable hosting performance. When you register as a customer, you’ll get free domain parking, free mail forwarding, and free web forwarding service that lets you redirect users to your parent site. Using the free site checker tool, you can perform a quick diagnostic check of any website and even check its status online. It will also show you the real IP address of any website in addition to its DNS servers and registrar. If you need to dig deep, you can use the Free Whois Tool. There is free trial hosting for anyone who wants to test the waters. It’s a great opportunity to sample the service and get a feel of the features. From the custom built panel, you can order a Russian domain, add payment details, settle invoices, and even upgrade your plan. You don’t need to convert Rubles to USD across its three hosting plans to know that R01 is a cheap hosting service. When you order the monthly or annual plans, you can pay conveniently via Webmoney, Yandex, cash, or any of the major credit cards. It’s nice to know that unpaid hosting plans that expire on weekends or holidays are not disabled. Cheap as it is, R01 falls flat in terms of features. I would have loved to see a familiar control panel and SSL certificates, besides simple security tools and DDoS protection. I know a good number of Russian hosting providers that are miles ahead in this regard. It would appear that the company has some catching up to do if it wants to be taken seriously. I found lots of useful info for beginners in the knowledge base, from setting-up websites to creating email/databases, and even uploading files via FTP. If you require assistance, you can send an email 24/7 or call tech support between 10:00 a.m. to 8:00 p.m. from Monday-Friday. 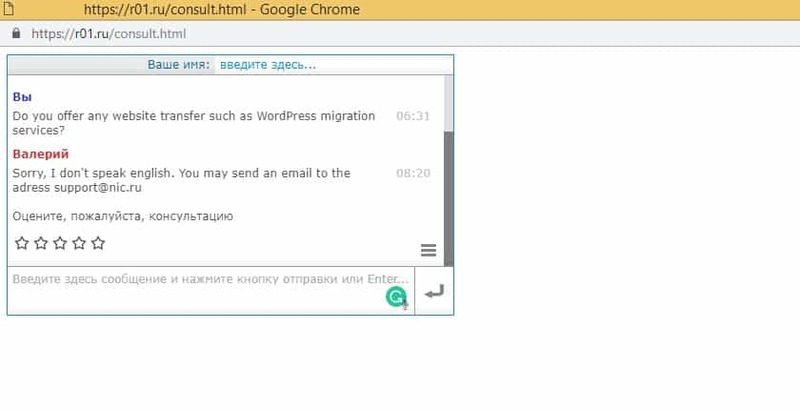 Live chat support is also available in Russian. With three low cost hosting plans, R01 is a good choice for anyone looking to host their simple, dynamic, or complex sites on Russian servers. 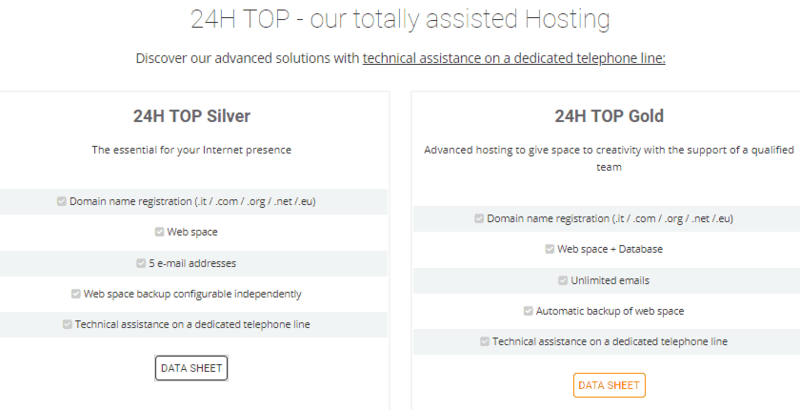 Wondering how R01 stacks up against other Web Hosting companies? Enter any other Web Hosting company and we will give you a side-by-side comparison.